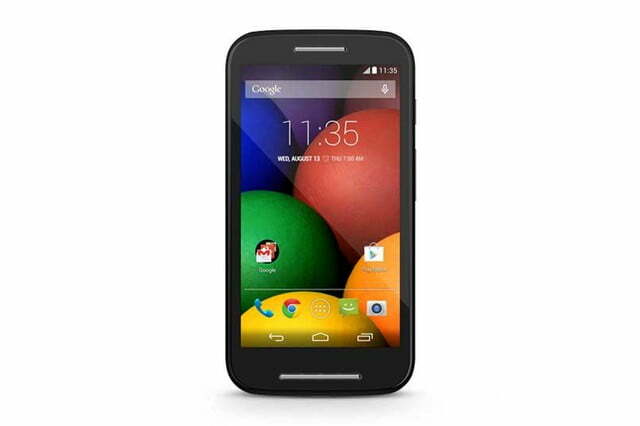 Moto E is $130, and for that price you get a phone that works. But it won’t be a phone that you love. Buy a $180 Moto G instead. 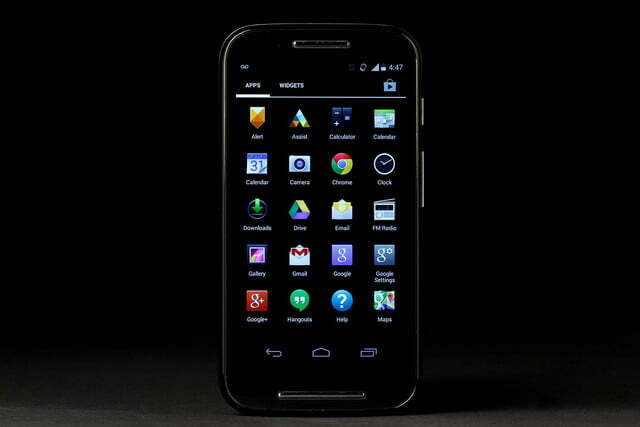 The Moto G is the best-selling smartphone in Motorola’s history. It outsold every Droid and new Razr the company released, and that’s because it hit a new sweet spot. At only $180, it’s insanely cheap for a smartphone, but packs almost all the goodies and power you’d expect from a high-end phone. 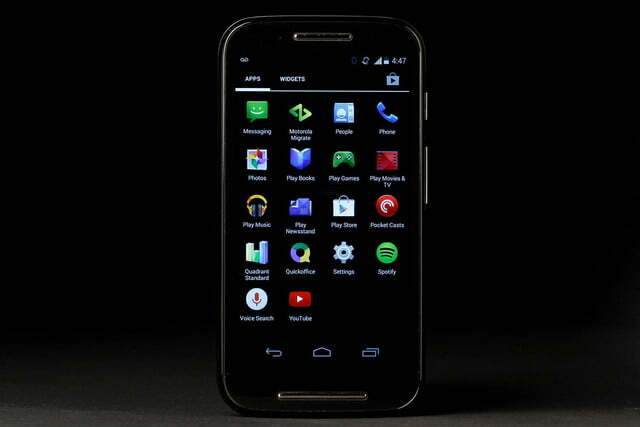 With the Moto E, Motorola has taken its cheap smartphone idea and cranked it up to 11. 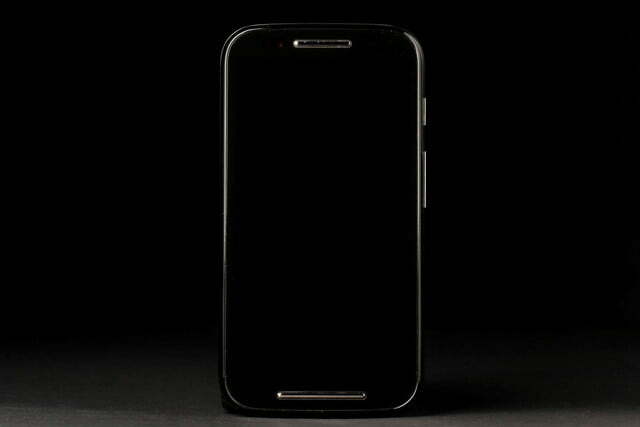 The Moto E has most things you’d expect from a decent smartphone. Up-to-date software: This is a rarity, even on expensive phones. 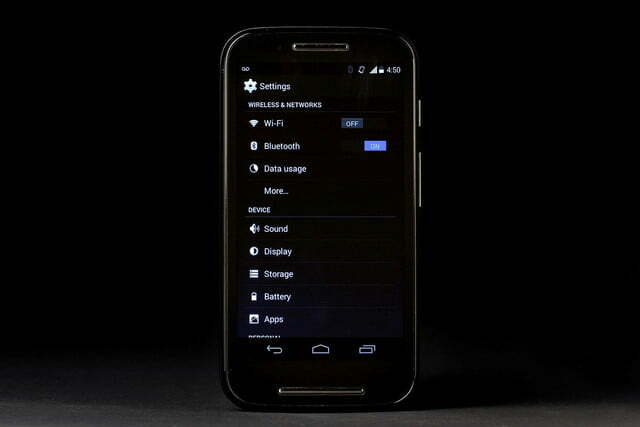 Moto E runs the newest version of Android KitKat (4.4.2). 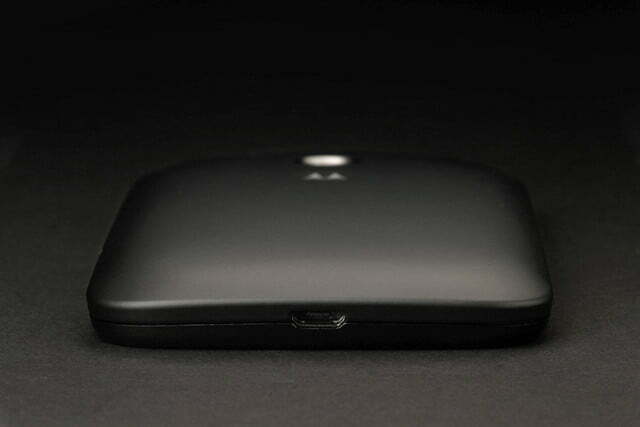 Better than that, it should get the next update quickly, and will come with a one-update guarantee from Motorola. 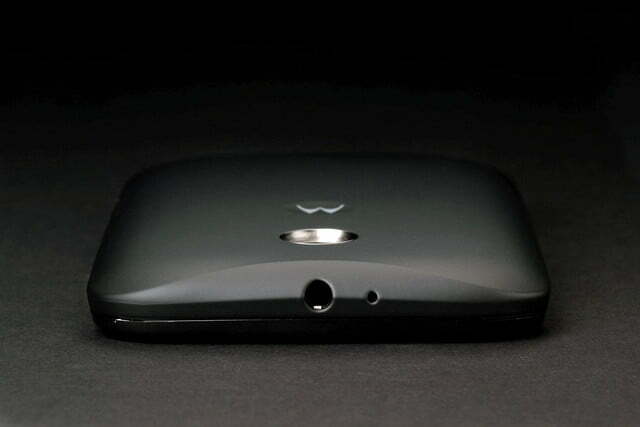 Sound from the Moto E is remarkably clear and loud for a smartphone. Comfortable, good size: Though it’s made of plastic, it’s comfortable to hold, following the design philosophy of the Moto X and Moto G, which are two of the most comfy phones out today. It’s not as slender as either of its siblings, but isn’t a heifer either. 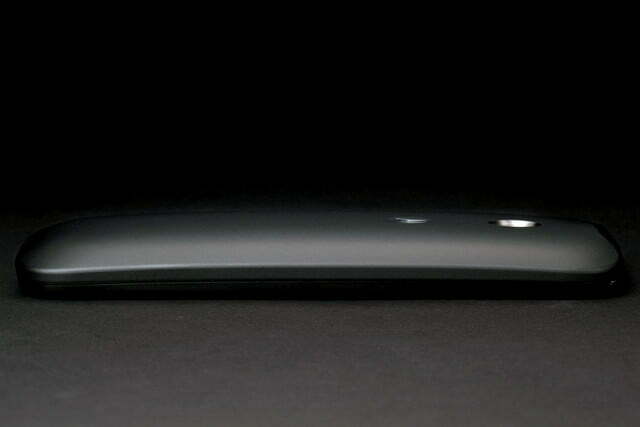 The back has a nice arch to it that bends naturally with the curve of your palm. Decent front speaker: We have no idea why one of the cheapest smartphone around also has one of the better speakers, but we’re not joking. 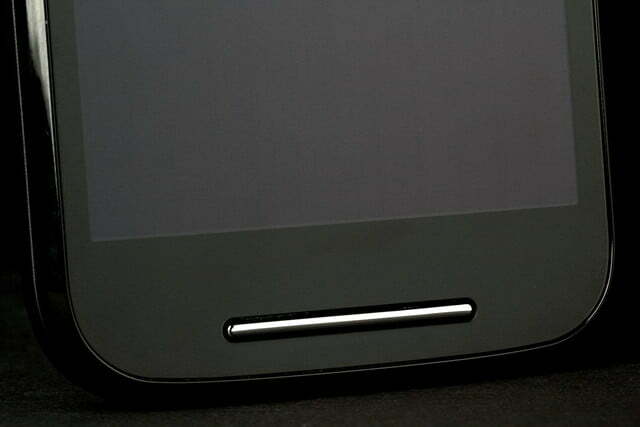 The HTC One and One M8 are the only other major smartphones with front-facing speakers. The Moto E does not sound anywhere near as sharp as the M8, but sound from it is remarkably clear and loud for a smartphone. Sound that’s directed at you instead of flying out of a phone’s rear is almost always better. 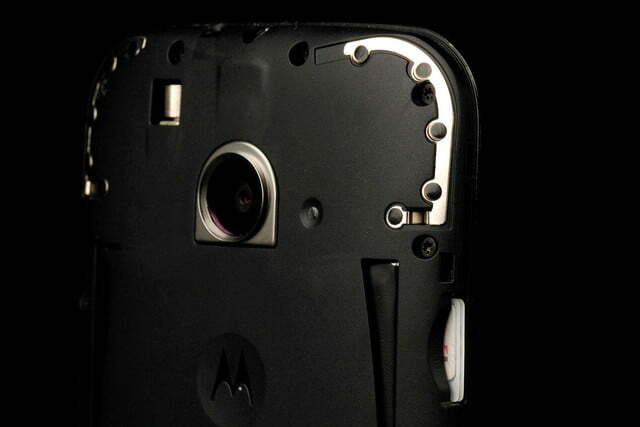 MicroSD storage: There isn’t a lot of space to store files on the Moto E, but it does have a MicroSD slot. Cards are getting very cheap – think 128GB for around $100. Decent screen resolution: The Moto E’s 4.3-inch LCD screen is 960 x 540 pixels, which is much easier on the eyes than the usual 800 x 480 pixel screens on other cheap phones. There is a downside though, which we’ll get to in the next section. 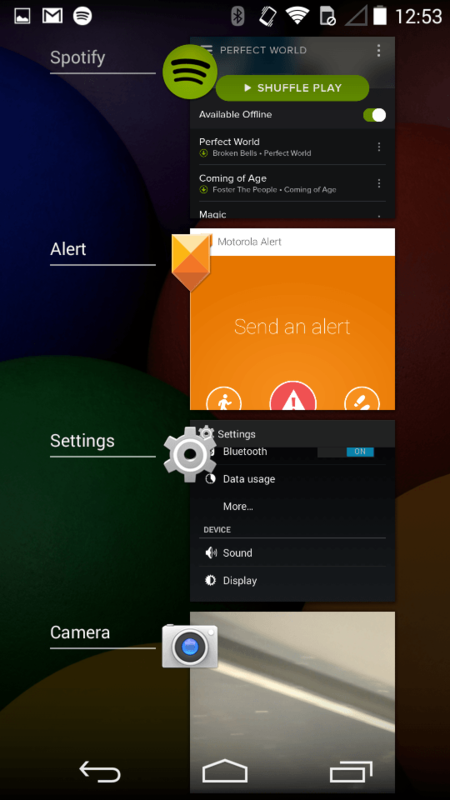 No bloatware: Because it runs a nearly untouched version of Android, you don’t have to deal with 30 to 50 extra preinstalled apps that you don’t want or need. If you buy it through a carrier, it will have a few apps, but that will still pale in comparison to most Samsung and LG phones. 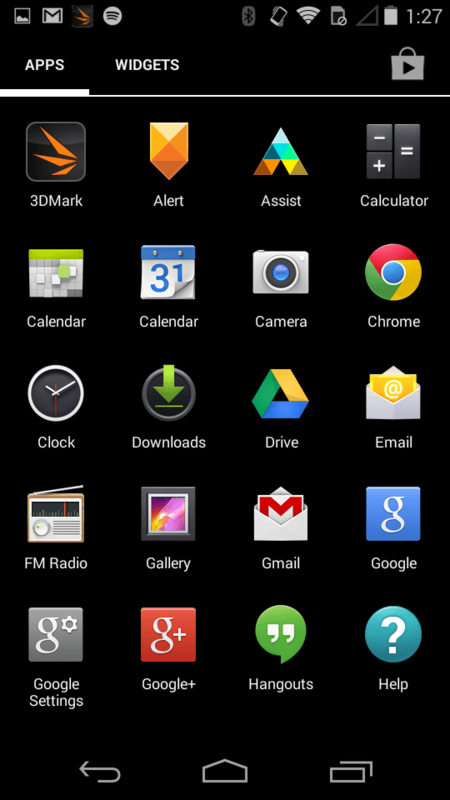 On our model, almost all apps are Google apps. 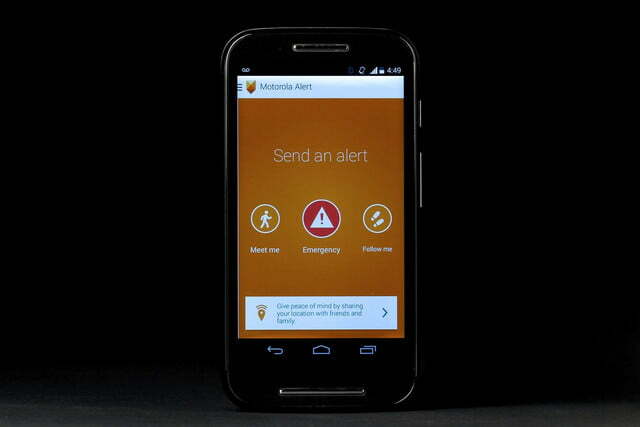 Moto Alert: Moto Alert is a new app that lets you set up an emergency contact, so if you give your Moto E to a grandparent or a kid, they can easily hit the Emergency button to call you (or 911). 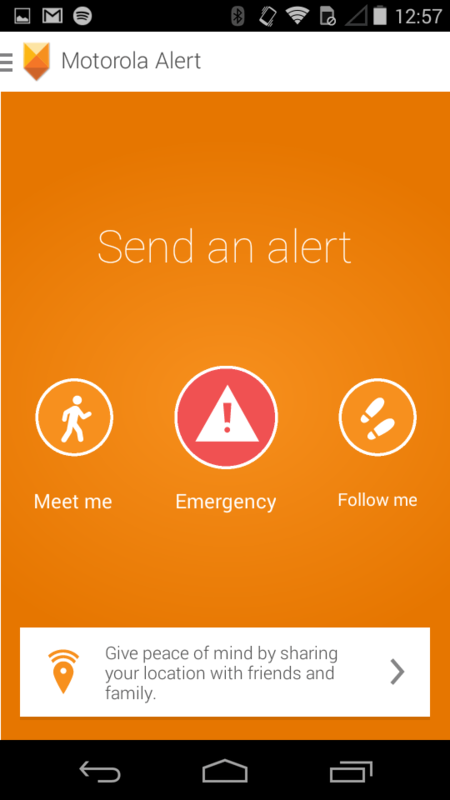 In addition, the app also has a feature that will send out texts to friends to help them find you. It can send out one text giving your location, or continuously text someone on regular intervals, so parents know where their kids are roaming. We wish this app had a password lock so kids couldn’t disable it, but it’s still a great idea. 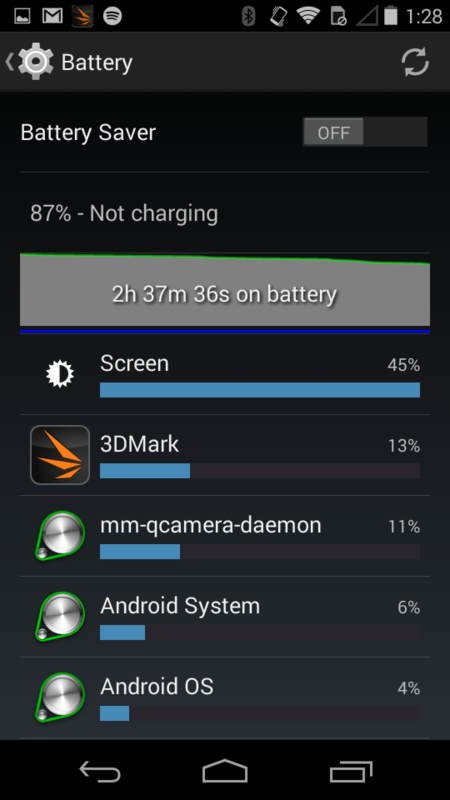 Battery life: The Moto E lasted us two full days on a charge. We didn’t use it nonstop, but it holds a charge well. 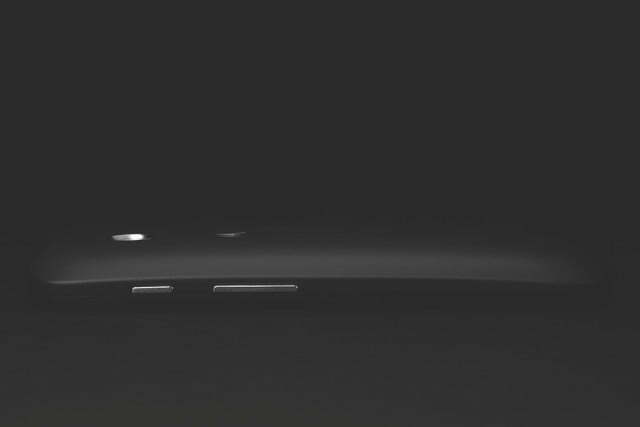 Its 1,980mAh battery is more than enough to power its smaller, lower-resolution screen. 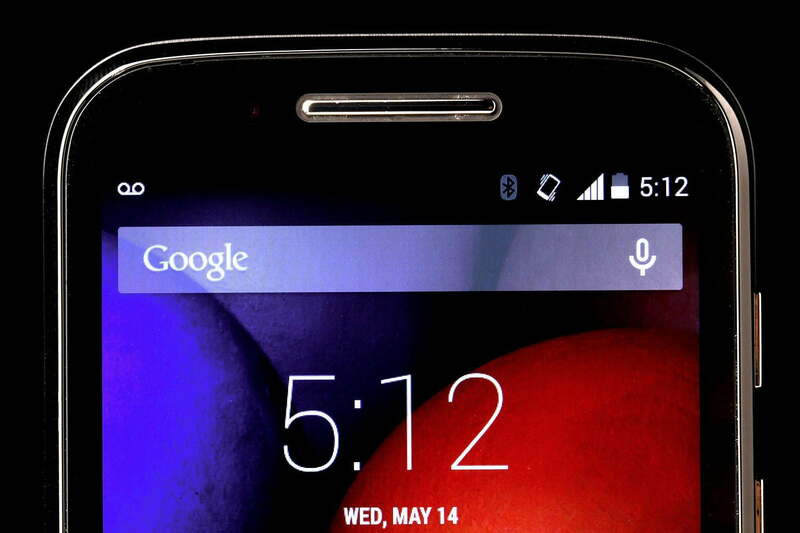 Moto E gets better battery life than the iPhone 5S, by a long shot. 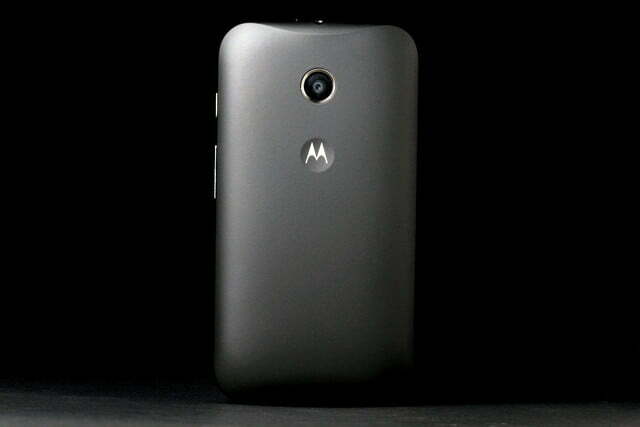 The Moto E’s $130 price does come with some pretty major sacrifices. Here is what we didn’t like about using it. 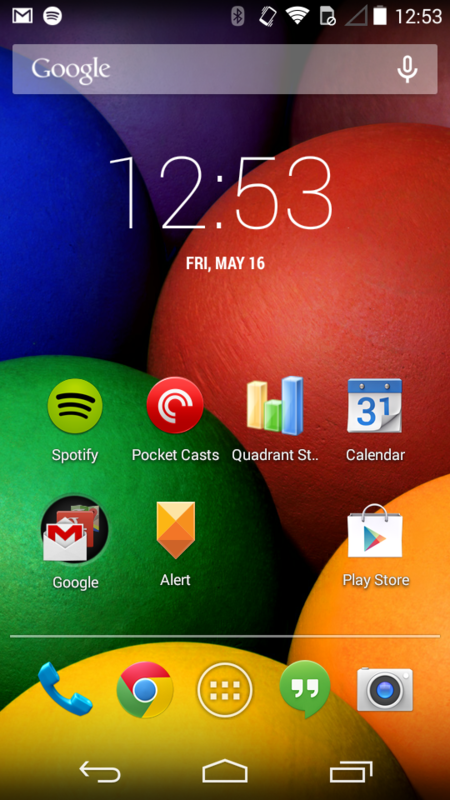 It’s sluggish: The Moto E is totally usable, but it’s a dual-core phone living in a quad-core and Octa-core world. 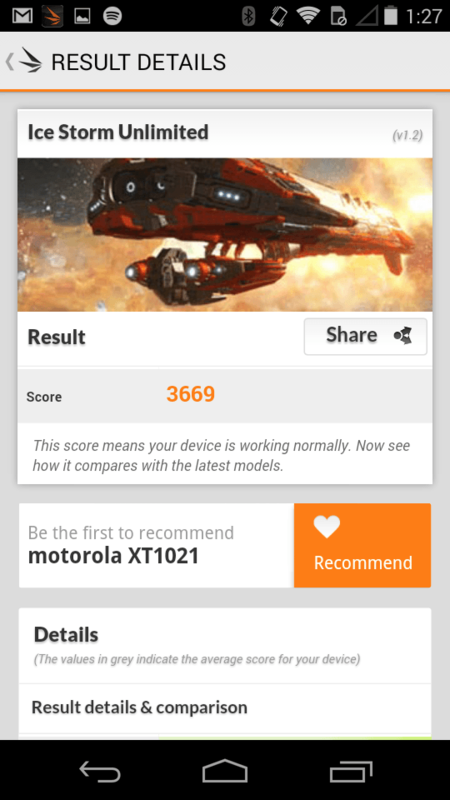 Its 1.2GHz dual-core Snapdragon 200 processor does OK on the home screen, but it’s not what we’d call a fast phone. 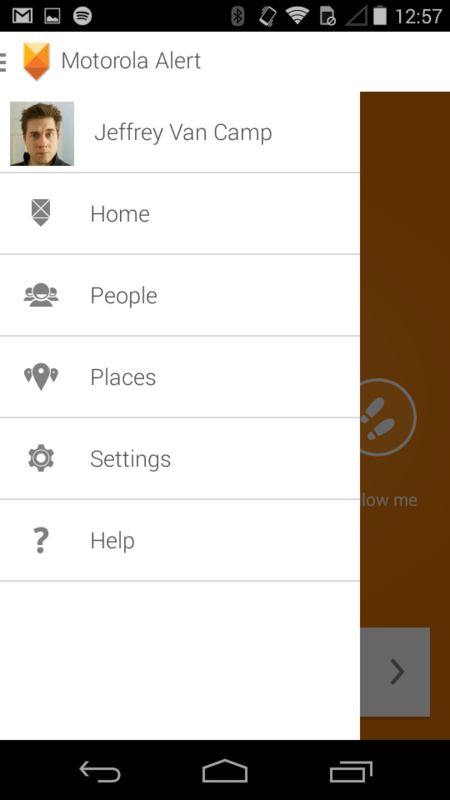 Open up any app, even Google Maps, and you will notice some lag. We didn’t really notice this problem with the $180 Moto G, which has a quad-core processor, and there are many other budget phones available for a little more than $130 that don’t have this slowness. 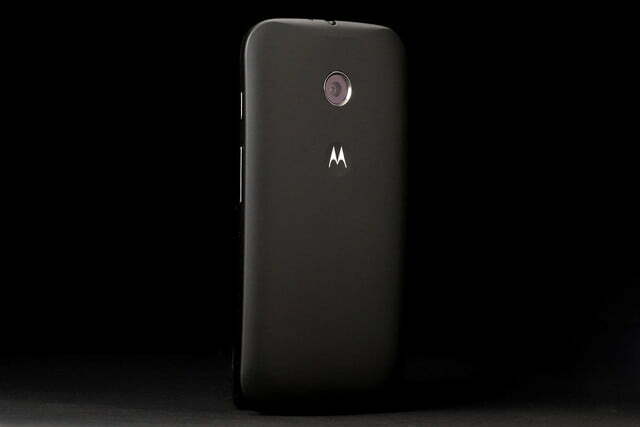 We’re a little frightened how well a Moto E will run in a year, if it’s already sluggish out of the box. 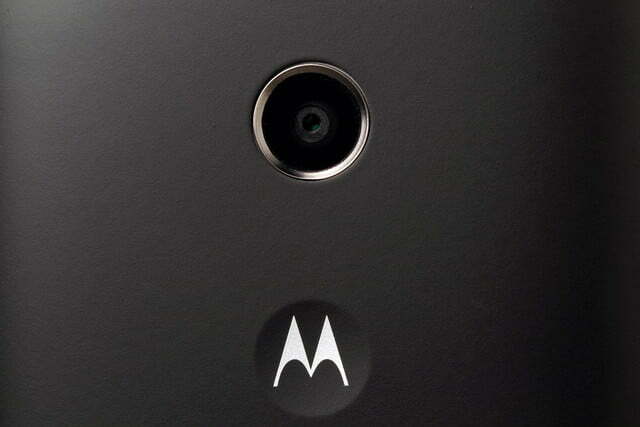 One of the most disappointing things about the Moto E is its rear camera. Rear camera is fixed focus: One of the most disappointing things about the Moto E is its 5-megapixel rear camera. 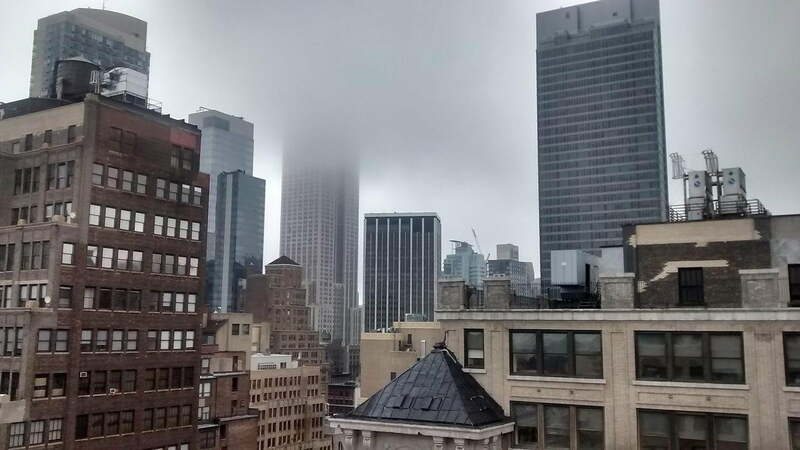 We really don’t expect much out of a $130 phone’s rear camera, but not having auto-focus, or even tap-to-focus, sends this phone’s camera back to the flip-phone days. There’s no flash either. You can find insanely cheap phones that have focusing features and better rear cameras. Did we mention that it can only record FWVGA video? 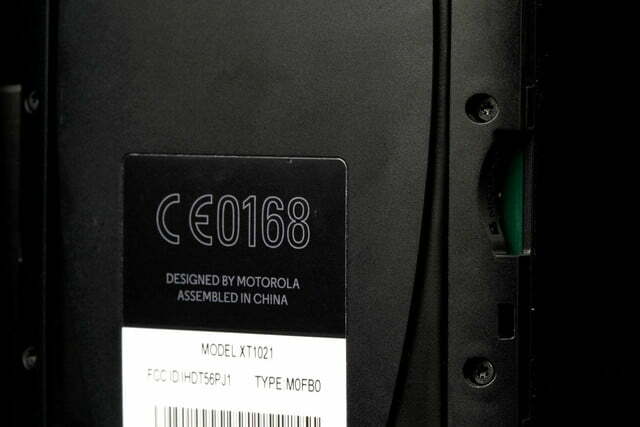 That means your max video recording resolution is 854 x 480. 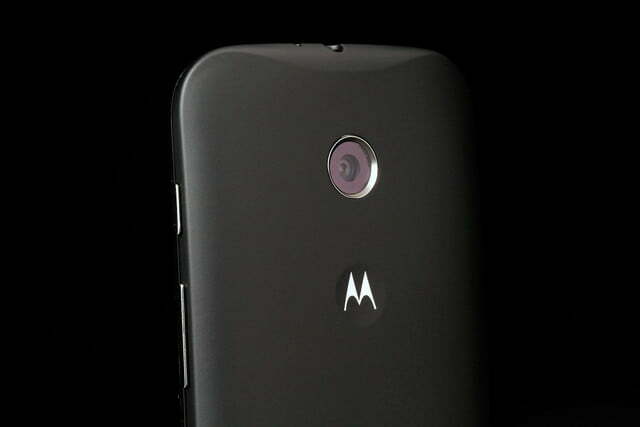 Most low-end phones can at least record 720p video these days, including the Moto G.
No front camera: There is no front-facing camera on the Moto E. So if you’re into selfies, you need to look elsewhere. This omission is acceptable. 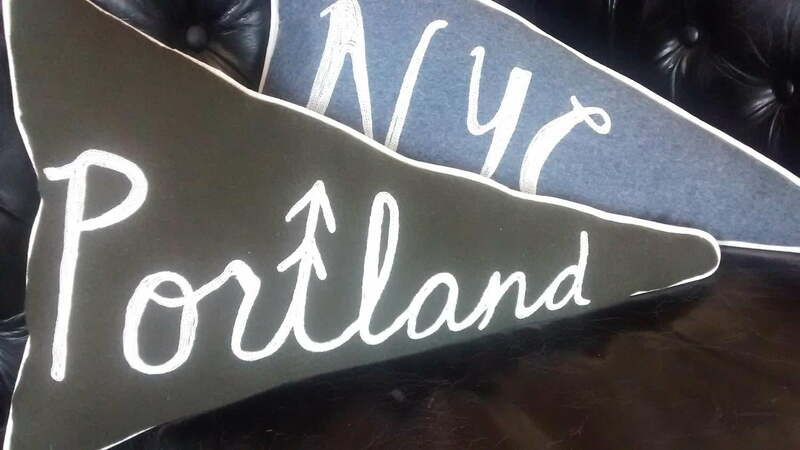 Not every perk can come at $130 price. 4GB of memory isn’t enough: Yes, it has a MicroSD card, but 4GB of storage is not enough if you want to install any apps or services on your phone. We’ve installed only Spotify and an app called Pocket Casts, and we’re already down to only 642MB of space, and were forced to clear 500MB of cache to keep going not too long ago. If you think we’re just downloading crazy amounts of songs and podcasts, think again. Spotify only took up 356MB of space. There just isn’t enough available space on this phone. You can manually move apps to a SD card, but buying one will probably cost you $50, and for that, why not just get a new Moto G or another phone? 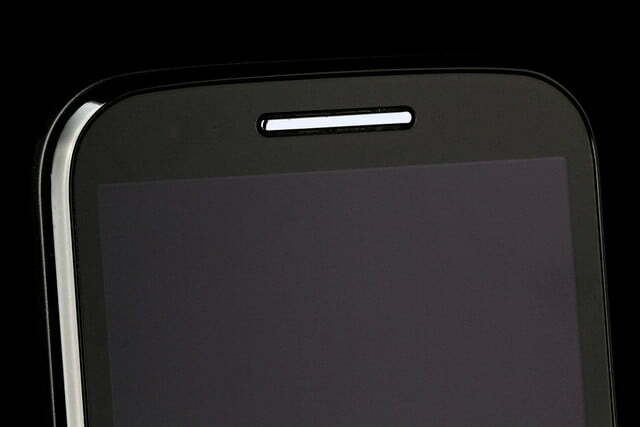 Screen has poor viewing angles: If you don’t look directly at the Moto E’s screen, it may hurt your eyes a little. The screen is very reflective, and when you tilt it, tends to get darker than most screens these days. Supposedly, this shouldn’t be a problem because the screen uses an IPS LCD and “low glare” glass, but it is something you will notice. Once you get used to it, it’s not the worst. The removable battery cover rattles: We like the option to buy and put on 20 differently colored battery covers, and almost wish the Moto X had that feature. 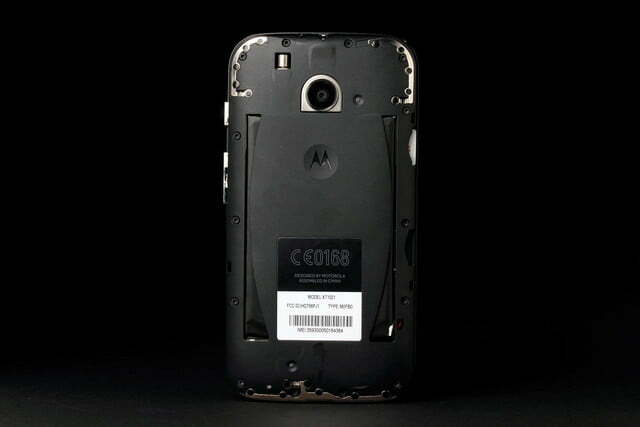 But the back cover on our Moto E would ever-so-slightly wiggle around, feeling like it might come off under the right circumstances. 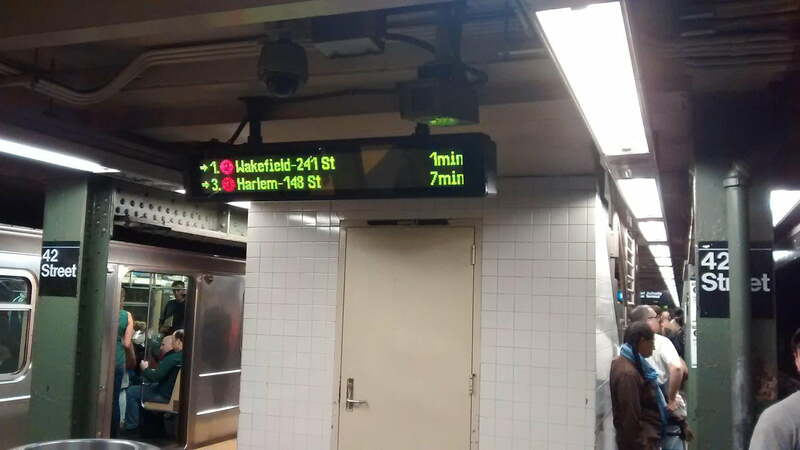 This is a minor complaint. 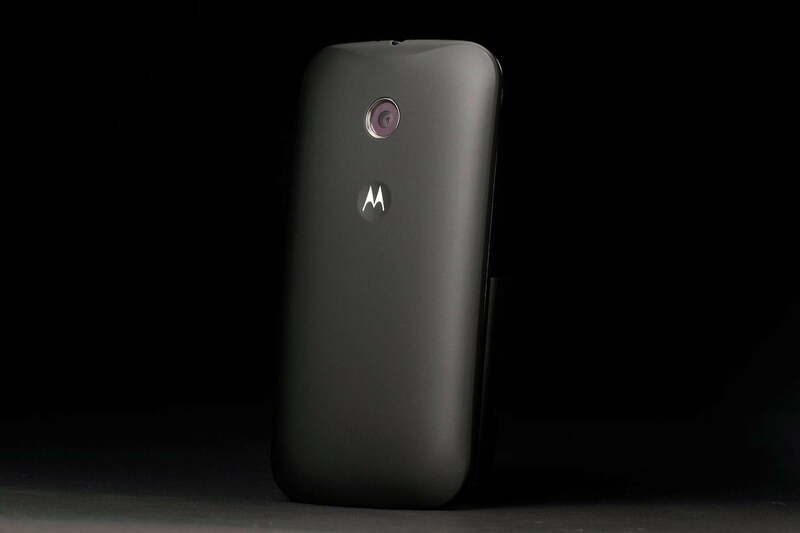 No 4G LTE: If you want a cheap phone with 4G LTE, you’re going to need to opt for a Moto G 4G, or something else. 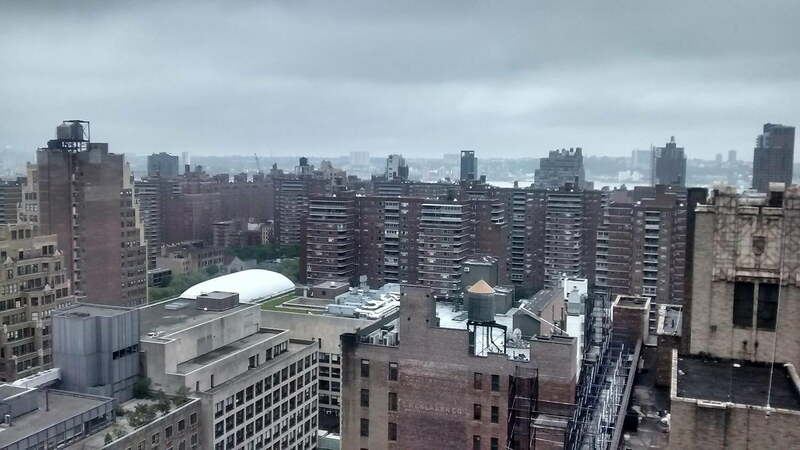 We didn’t mind using 3G speeds on T-Mobile here in NY, and call quality was fantastic, but if you value speed, you’re going to have to pay for it. No NFC: We’re being nitpicky. No one ever uses Near-Field Communication for anything, unless you’re one of the 8 people dedicated to using Google Wallet — if so, apologies. If you use any app that requires NFC, you need a different phone. 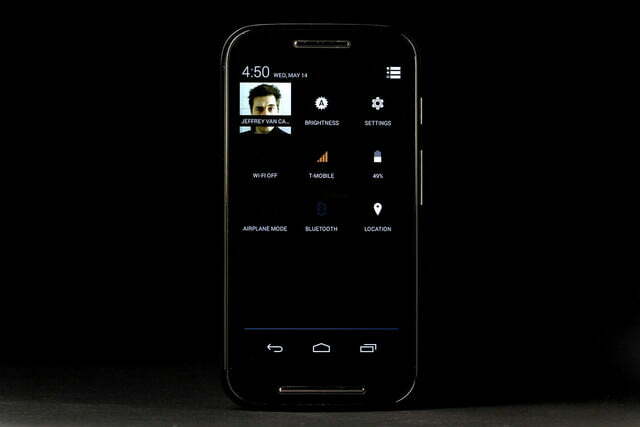 To be blunt, this is a $130 phone, and buying it will mean a lot (a lot) of sacrifices. If your budget cannot go higher than $130, this phone is a better option than most at its price point. But if you can, in any way, afford to pay more, we highly recommend paying $180 or $220 and buying a Moto G, or kicking things up to $350 and buying a Nexus 5 or Moto X. You will love these phones. The Moto E will service your basic smartphone needs, but you will never love it, and you might grow to hate it for the things it cannot do. If you’re prone to smartphone envy, value a good camera, or like to install apps, you need to find a way to buy a more expensive phone.